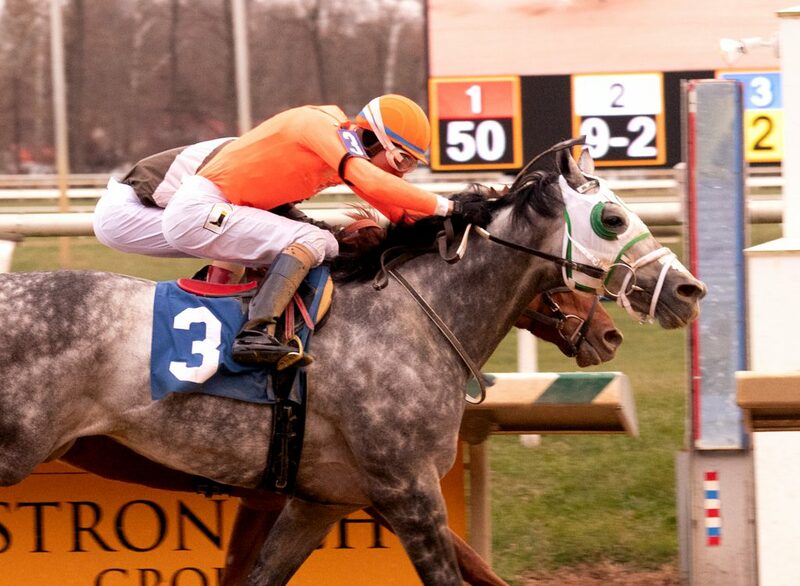 9-year-old Sir Rockport won his second straight race March 8th at Laurel. Photo by Jim McCue. 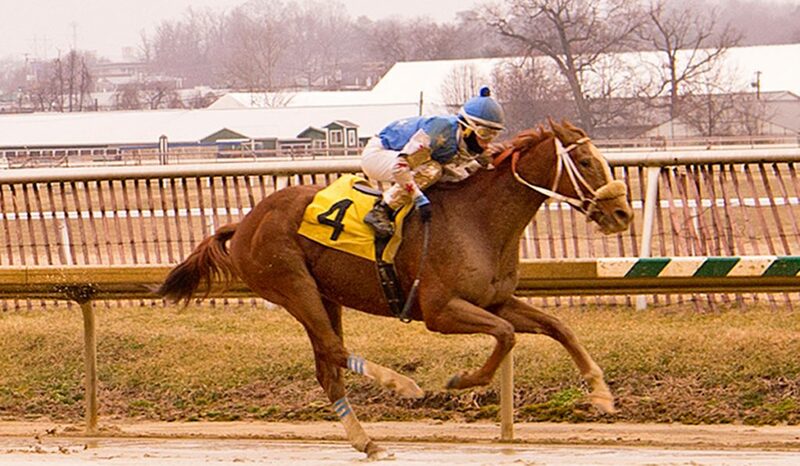 Mucho Mas won her maiden special weight at Oaklawn March 30th with a purse of $90,000. The Mucho Macho Man filly also faced a large field of 12 and edged Trapped N My Hand by a head. Bred by Jim & Katie Fitzgerald, Mucho Mas has earned $79,900 from a trio of Arkansas outs. The Fitzgeralds, along with co-breeder Jim Ackerman, saw their Alphadar collect the winner’s share of a $21,000 purse in a Gulfstream maiden claimer March 24th. 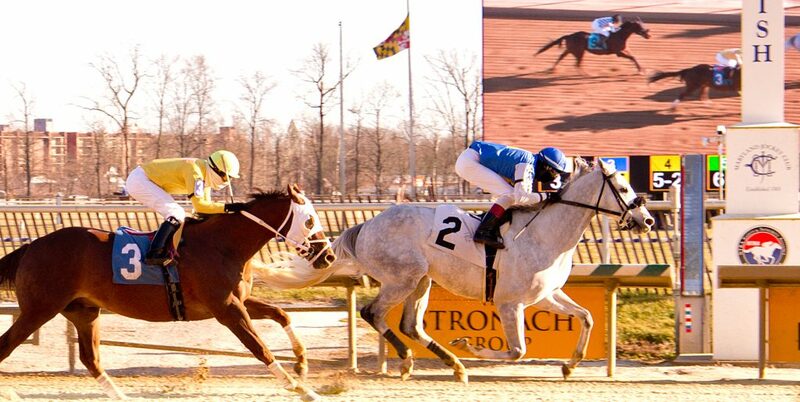 Arkadag won by 5 3/4 lengths March 24th at Laurel. Photo by Jim McCue.